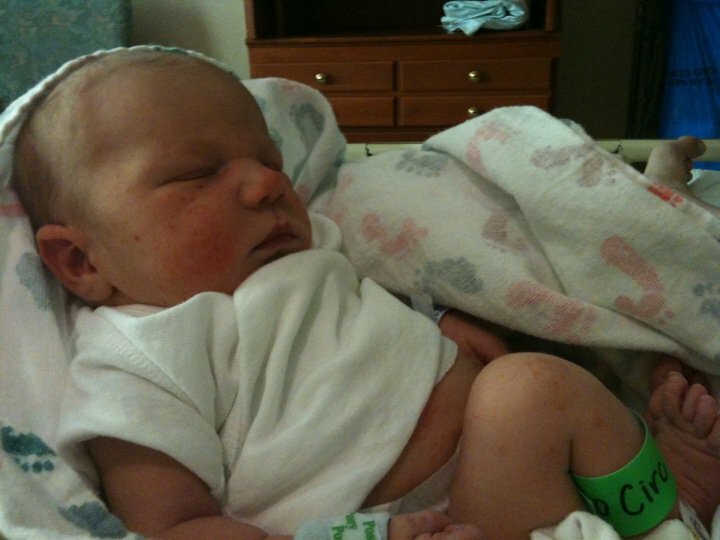 Elsie M. Campbell and Aunt Mimi's Quiltworks: Morgan Edward Campbell has arrived! Morgan Edward Campbell has arrived! Ruthie and I had a marvelous time with all the quilters in Fargo, ND. You can see some of the Strings workshop activities in progress on my website. Ruth's flight back to Phoenix was on Tuesday, so we left immediately following my half-day class on Sunday, spending the night in Sioux City, IA. Monday morning Kerry called to tell me that Hilary was in the hospital in the very early stages of labor. We progressed on to Wichita for Monday night, and I got the call at 4:25 am on Tuesday morning. Morgan Edward was born at 4:10 am. I could almost hear the big grin on his Daddy's face over the telephone. 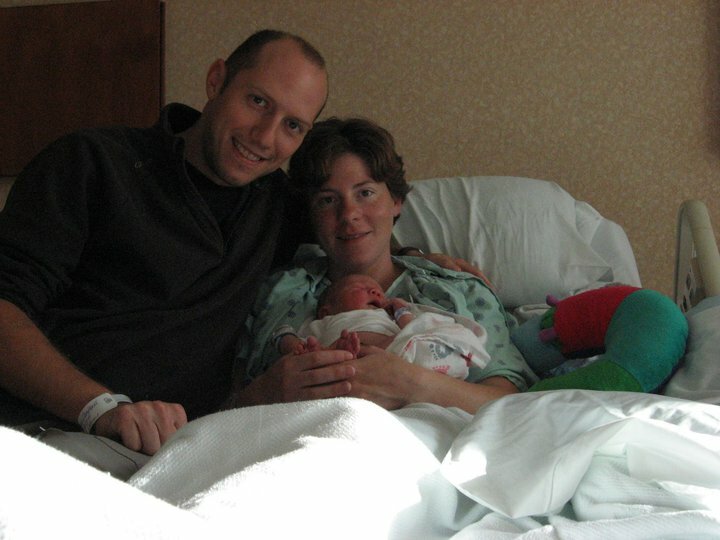 He weighed in at 7 lbs 4 oz, and measured 20 inches in length, and both mother and baby were doing fine. What welcome news! The family had just relocated to Olive Branch, Mississippi just 1 week before his arrival, and his room was finished one day AFTER his due date on Sunday. Mom went into labor on Monday. Couldn't believe his timing. Kerry wrote on Facebook just a bit ago that everyone got home this morning. I imagine all of them are napping the afternoon away, don't you? Here are some photos to share with you of the new addition to the Campbell Clan. We're so proud of all of them. I won't get to hold him until October 20 when I make a stop over at their house on my way from Paducah, KY to Siloam Springs, AR. It will be so hard to wait until then, but I only have so many hours in a day, and the new family needs time to get acquainted before all the relatives descend on them. How exciting it is to see the photos, and Kerry agreed to 'skype' us later this week. Welcome to our family, Morgan. You are much loved!